Roger Michell: What would your advice be to your younger selves? Q: When will we be able to buy this film in the USA? What will that date be? Thanks. A quite charming look back at the careers of four legendary British actresses. Joan Plowright makes the most poignant comments - but often felt at a distance from the others (this was mostly down to her impaired sight and hearing though.) 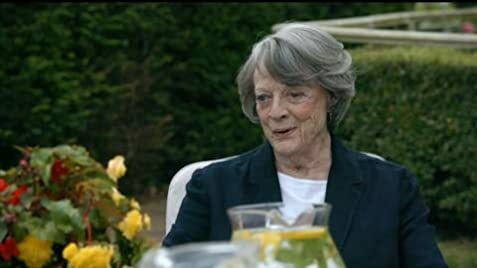 Eileen Atkins is chirpy, and comes up with a few witty quips. The film is surprisingly funny and irreverent. 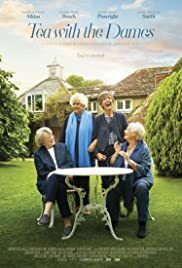 Judi Dench and Maggie Smith are definitely the highlight. Truly vivacious women, and their friendship is obviously genuine. They seem to be always reminiscing some old private joke, which is kept a secret from the audience. Mischievous smiles and knowing glances constantly shared - a better documentary could likely be made by just focusing on them. It's a good idea for a film - and perhaps could be revisited with other "acting Dames." Helen Mirren, Diana Rigg, Julie Walters, etc. The great Vanessa Redgrave ( who makes a fleeting appearance here in archival footage) would have been an interesting addition to the conversation - although she did of course refuse the offer of a damehood. The film lacked in some places. The topic of conversation was all a bit dainty. Surely these four women must have experienced a lot over such great careers - so it's a shame the opportunity for serious discussion was missed. Far too much time was spent fawning over Laurence Olivier. It's understandable he should come up (having worked with all four women, and been married to one of them) but this got a bit tiring after a while. Overall, I enjoyed the film but really expected a more thoughtful or contemplative look at the life of an actress. Perhaps more direct questioning or moderation would have got more out of the Dames.